For many patients, risks of becoming trapped within the rails of their bed are high, so precautions must be taken to avoid injury. 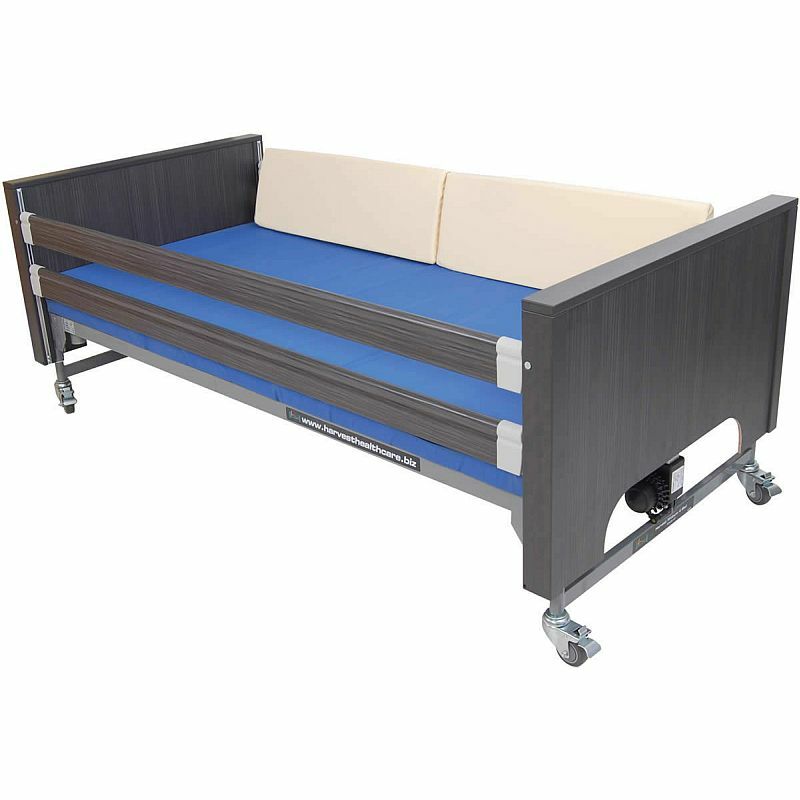 The Harvest Side Rail Wedges are designed to prevent this phenomenon, stopping a patient's limbs from getting caught within the bed rails and softening any impact between body and rail. This product is especially effective for those at high risk of entrapment, in particular patients with senility or Alzheimer's disease. 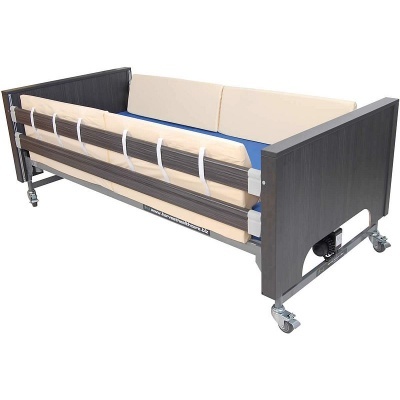 The Harvest Side Rail Wedges provide a robust and versatile solution to patient protection, allowing patients and carers alike an extra element of peace of mind. The 890mm wedges can be fitted to their bed two per side, or separated to suit specific needs. Velcro straps secure the wedge sets to the side rails, ensuring the wedges will not move. These wedges are supplied with a two way stretch vapour-permeable cover which allows the product to breathe whilst protecting it from any spillages or fluids. Please note that while this product is pictured attached to a bed in the image above, but the product will include the side rail wedge set only.